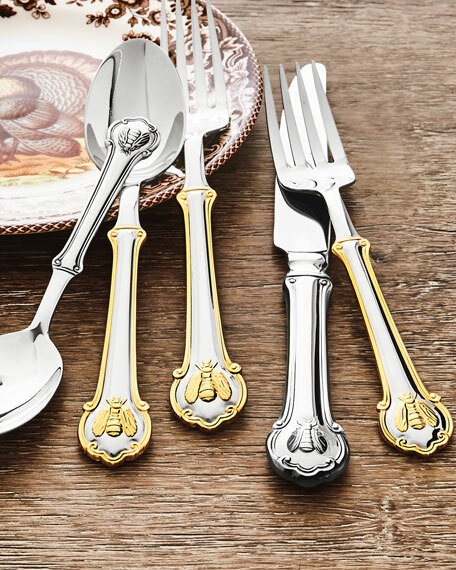 Regal flatware tipped with a Napoleonic bee. 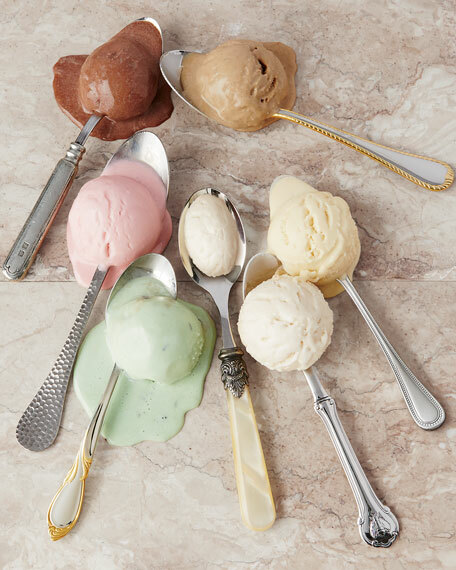 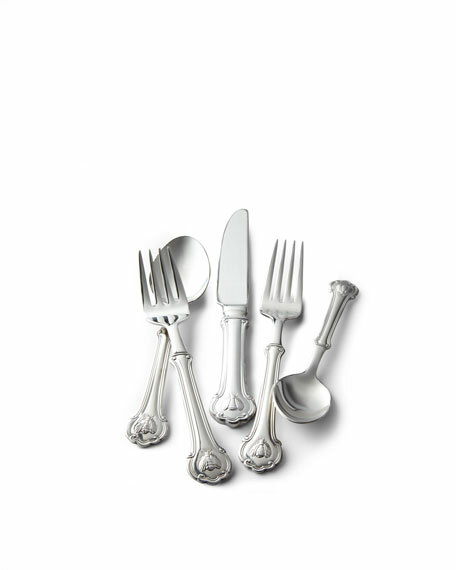 45-piece service includes eight five-piece place settings plus a 5-piece hostess set. 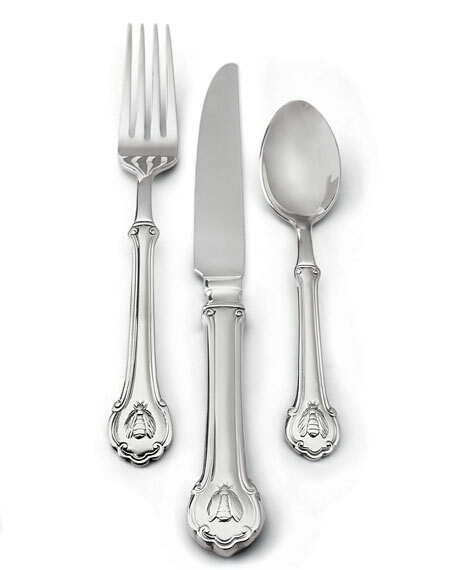 For over 150 years, Wallace Silversmiths has been renowned for its exquisite sterling silver and fine stainless steel flatware. 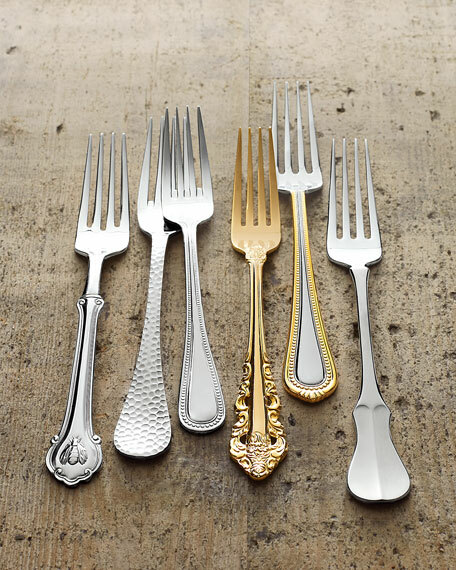 Wallace artisans employ a centuries-old method of craftsmanship to ensure the flawless composition of every piece bearing their hallmark. 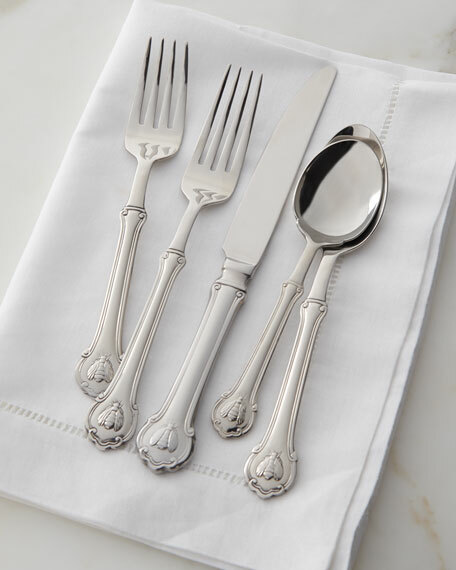 Available in a wide selection of designs, Wallace flatware is created for the discerning customer who appreciates beauty and tradition. 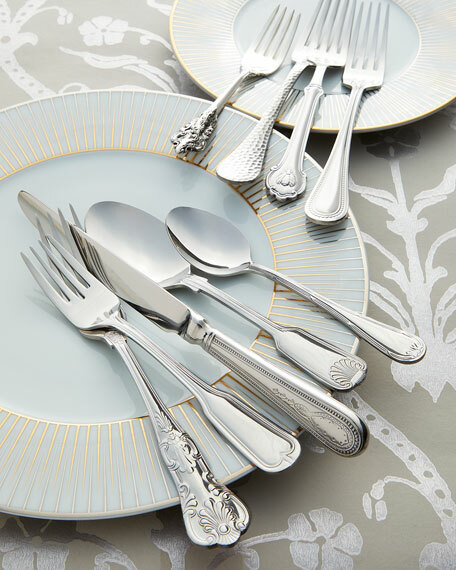 From the understated to the ornate, Wallace flatware's timeless styles reflect artistry from years past that continues to complement today's tables.